"Boise's Kitchen & Bath Remodeling Experts"
"we're a friendly team you can trust"
Well crafted kitchens are a distinguishing feature of any home. 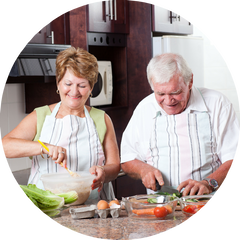 Our professional, in-house remodeling team will make your kitchen a hallmark of quality craftsmanship and outstanding function. 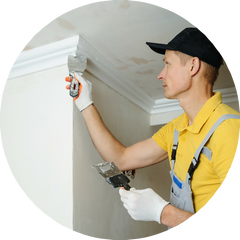 We handle every aspect from demolition, carpentry, electrical, and plumbing to painting, flooring, countertops, and appliances. Connect with us for a free consultation and quote. Bathrooms are like kitchens, they're used often and remembered well. 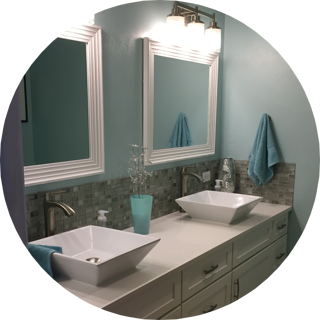 Minor makeover or complete renovation, our expert remodeling team will transform your bathroom from top to bottom. Electrical, plumbing, flooring, tubs & showers, paint, and fixtures, we take care of it all. You'll enjoy a bathroom that maximizes space, aesthetics, and functional features. Your remodel uncomplicated. 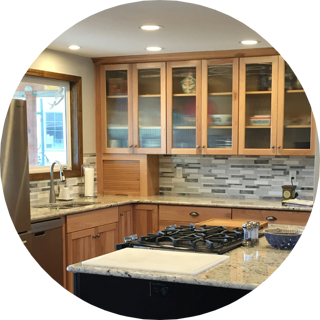 From initial concepts, project plans, and building permits to scheduling, construction, and final cleaning, we provide full service kitchen & bath remodeling. We're the one friendly call you make, the project hassles are on us while you sit back and watch it happen. Letting anyone into your home to... well, tear it up with the promise of making it a whole lot better, takes a lot of trust. 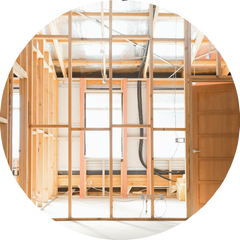 Aside from being licensed and insured, our team of carpenters and skilled tradesmen are the best of the best. Clean, honest, and professional, we work hard to make your remodel a pleasant experience. We deliver five star service all the way around - timeliness, quality, and professionalism. Your worries are legitimate: Will the work be done right? Will it be done on time? Will it be within budget? What if there's problems? Our clients rave, please ask us for client references you can talk to for yourself. Nobody does kitchens & baths like us.